LiquidWeb is a web hosting company founded in 1997 with three data centers in Lansing, Michigan and one in Scottsdale, Arizona. Liquid Web provides a myriad of services but focuses on its Storm Platform which has virtual private servers (VPS), cloud-based dedicated servers, and recently retooled block storage. According to their site, LiquidWeb is a well-established company boasting 300 employees. They have 20,000 clients worldwide and 13,000 servers. They have also made the Inc5000 list for six straight years. LiquidWeb’s data centers are wholly-owned and staffed by engineers twenty-four hours per day, seven days a week. There are redundancies designed in the system, so if there are any failures at any level, then client servers will not be affected. The data centers are also backed by state-of-the-art generators. Right now, LiquidWeb is really pushing their Storm Platform. This review will focus mainly on that, since that is what I used. All of the Storm Platform servers have create and deploy server images, the Storm firewall, application programming interface access, easy cloning and resizing of servers, real-time monitoring, and five terabyte outgoing and free incoming bandwidth. Also, a relatively new feature of the Storm Platform is block storage. This allows the user to increase the available disk space on a storm server to up to 15 TB within seconds. You can connect this additional storage to multiple servers to maintain a backup, establish a segregated development environment, to add space to the cloud servers, and many other uses. 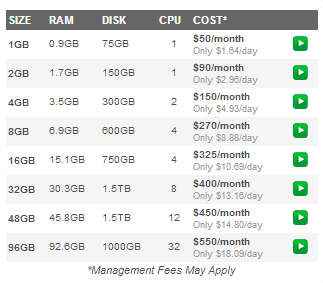 This feature runs for $15 per month for 150 GB to $1,500 for the 15 TB. The Storm VPS has managed VPS hosting which combines the affordability of shared hosting with the control of a dedicated server. There are eight different plans depending on your needs. The plans vary in size, RAM, disk, CPU, and of course price. 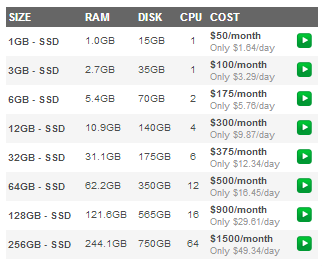 The VPS size varies from 1 GB all the way up to 96 GB for the top end. RAM is important when using a VPS, and LiquidWeb provides a strong range from a not too shabby .9 GB to a solid 92.6 GB for the best package. Disk space varies from 75 GB to 1000 GB, and one can get between one and 32 CPUs. The plans are priced to work for just about any business starting at $50 per month and topping out at $550 per month (each plan is slightly more expensive for Windows). All the plans have 100 percent network uptime, monitoring, and a 30-minute response guarantee. There are over 60 Storm Dedicated Server plans. These vary in CPU type and numbers, RAM, disk size and type, and redundant arrays of independent disks. The Storm Dedicated Servers allow users to pick the exact server that they need based on the complete technical specifications for the server provided by LiquidWeb. 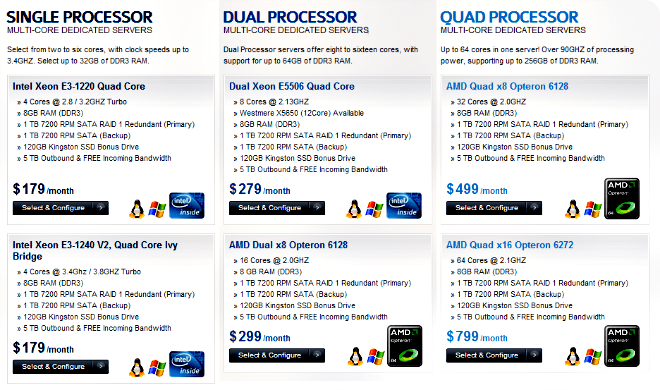 The CPUs vary from Intel’s Core i5-750 to AMD’s Quad Opteron 6272. The most basic plan includes 2 GB of RAM, 453 GB of disk space, and four CPUs at a cost of $115 per month. The top level plan has a cool 252.4 GB of RAM, 807 GB of SSD, RAID 10, and 64 CPUs and runs at a cost of $1495 per month. Again, the prices for Windows are slightly more than Linux. LiquidWeb also offers non-cloud standard dedicated servers. These are generally more costly to maintain and upgrade. The prices for these range from $179 to $799 per month. LiquidWeb’s Storm Solid State Drives provide top-of-the-line I/O performance. Storm SSD is created to perform rapid queries, minimize server load, and to load quickly to maximize performance. They have virtually eliminated any bottlenecking in inbound and outbound data. In a test comparing Storm SSD 12 GB and the Storm non-SSD VPS (8 GB), the Storm SSD outperformed the non-SSD VPS on a 4K Sequential Write to the tune of 225,000 IOPS to 15,000 IOPS. There are eight different SSD plans varying in size, RAM, disk space, CPUs, and cost. The SSD sizes range from 1 GB to 256 GB. RAM also has a similar range: 1 GB to a sizzling 244.1 GB. Disk space starts at 15 GB and maxes out at 750 GB. And, the number of CPUs varies from one to 64. The plans are priced to fit just about any business. They start at a reasonable $50 per month and go all the way up to $1500 per month. The plans are slightly more expensive for Windows systems. There are three different web hosting plans. The low-end Standard Plan starts at $14.95 per month. This is a good starter plan if creating a forum, website, or blog. It comes with 5 GB of SSD disk space, two domain names, and 120GB of transfer bandwidth. The Webmaster Plan is great for hosting multiple websites. This plan is $19.95 per month and is a jump up from the Standard Plan as far as storage goes. 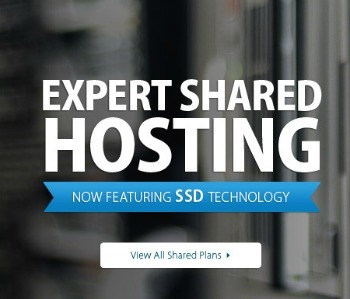 With this plan, you get 20 GB of SSD disk space, three domain names, and 200 GB of transfer bandwidth. The top-level plan, the Professional Plan, is still a very reasonable $24.95 per month. It comes with a dedicated IP address. Its features include 40 GB SSD disk space, five domain names, and 320 GB of transfer bandwidth. With any of the above server and hosting services, LiquidWeb makes it easy to upgrade or downgrade your plan to fit your purposes. One can instantly deploy any of the services. There is also 24/7 customer support. I personally had a great experience testing out the Storm Platform. I was mostly working from scratch and not transferring massive amounts of data, as a major company would. So, I cannot speak to that. I did do some research on what bigger clients have to say about LiquidWeb, and the biggest negative seems to be that it is sometimes hard getting started. When switching server hosting, it can take a week or two to get everything configured. LiquidWeb is still very responsive to any inquiries to its customer service department though. There are rumors that LiquidWeb may be going through some growing pains as they have rapidly expanded. But, this is natural for companies in a similar situation, and this usually goes away as the newer techs get up to speed. LiquidWeb bills its customer service as “Heroic Support.” Anyone in IT knows that the servers need to keep running outside of normal business hours. The web does not sleep. LiquidWeb recognizes this and has customer service workers available 24 hours per day every day of the year. There are high-level engineers always on hand, who can immediately access the physical location where data is hosted. The always-on support extends to phone, email, and chat support. Part of their support includes a 100% uptime guarantee. They are so sure customers will not experience down time that they will give 10 times the credit for any down time experienced. LiquidWeb utilizes a help desk ticket system to keep users informed of the status of their issue. There are also a number of video tutorials and blog posts to provide help. The tutorials cover DNS, WHM, cPanel, email, FTP, and Fantastico. Finally, another testament to LiquidWeb’s customer service is their A+ rating with the Better Business Bureau. LiquidWeb is a BBB-accredited business. They have only received four complaints in the last three years. 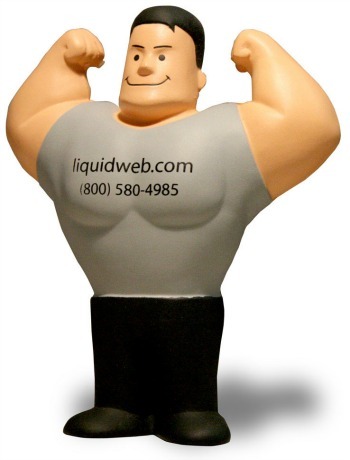 LiquidWeb is one-stop shopping for maintaining data and websites. They have over fifteen years of experience and a clean track record. I had a very easy time using the many different services. The pricing is very reasonable compared to companies who provide similar (and often inferior) services. Their client list shows that many big name companies tend to agree. LiquidWeb is impressive because they are always looking to improve their services. With the Storm Platform and block storage, they are using cloud technology to its fullest. 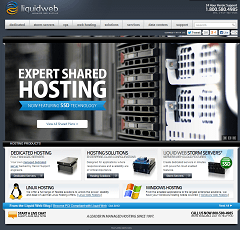 I give LiquidWeb my highest recommendation for companies of any size looking for web hosting and data storage solutions. LiquidWeb has plans to fit any company’s needs.